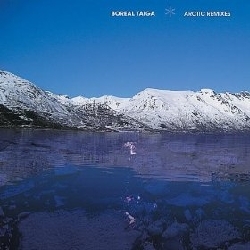 The project Boreal Taiga started as an experiment in the ambient / downtempo realm around the year 1998. “Arctic Remixes 1 and 2”, both released in 2011 by Dave Luxton’s Wayfarer label, came about as an idea by composer JimDe (aka Boreal Taiga) had been thinking of for awhile. Both ambient/space/psy trip albums represent his enduring love and interest in Arctic areas globally, translating all things natural and icey into fascinating ambient compositions. His immersive sonic adventures explore the wilderness and far reaches of the cold north, even venturing inside the deep arctic circle and beyond: from the poles to the Boreal/Taiga regions of the Earth, including human settlements, tribal cultures, environment, weather and fauna/flora. JimDe had written many of the tracks a year previous to the actual album releases, so he had a lot of material to work with, fine tune and record. The actual music though comes to life in Boreal Taiga’s Shaman studio, situated in the North Arctic Norwegian environment. It lies 300 miles north of the Arctic circle, which really triggers the inspiration to create music that fits to JimDe’s moods and what he sees around him. His interest in the people that reside in these remote areas also contributed to the creation, including cultures that have been here and other areas for thousand of years, such as the “Chukchi” track on “Arctic Remixes 2” and “Sakha” on “Arctic Remixes 1”. The “Chukchi” track, one of Boreal Taiga’s favourite tracks to this day, is one that sees JimDe really delve deep because of his studies of the people and their culture. In addition, he felt the desire to bring attention to these not often known cultures, how they subside off the land and the beautiful environs that surround them. With the “Arctic Remixes” series, Boreal Taiga continued this inspiration. “Baffin Bay” on “Arctic Remixes 1” is a track based on Greenland from Richard’s videos and photos. JimDe then included “Tide Pools Of Greenland” and “Tide pools of Iceland” on “Arctic Remixes 2” as a tribute to where the sea meets the ice lands. In these tracks he added binaural recordings of sounds from the shores of Norway in the far north as it is as close to Greenland and Iceland as one can get. So it comes to no surprise Boreal Taiga has quite a collection of binaural recordings from travels to Alaska, northwestern Canada, Pacific Northwest and northern Norway. These recordings created an atmosphere that is fitting for some the tracks. One of Boreal Taiga’s other passions are the traveling environs such as airports and train stations. Having traveled through these places, such as Iceland’s Reykjavík-Keflavík Airport, JimDe was able to record sounds within, as people go about their business. These sounds were added to the closing “Departure From Reykjavík” track on “Arctic Rexies 2” as well the train station in Narvik, Norway on “Train To Narvik”. A video of this can be found at www.youtube.com/watch?v=39RB_IGEA2k. 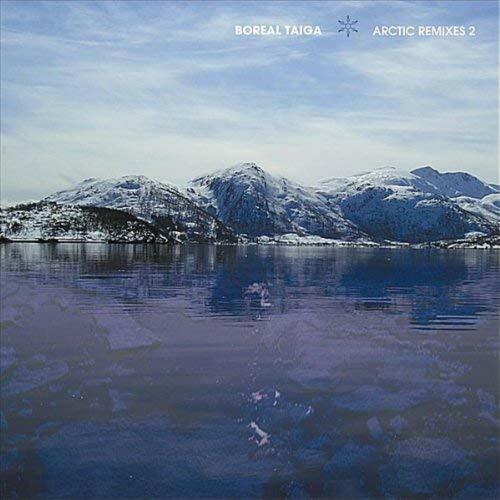 On “Arctic Remixes 2”, Boreal Taiga included three tracks based on his Alaskan travels. The tracks “Walking On The Harding Ice field”, “Yukon” and “Gates Of The Arctic” are all based on Alaskan influences. 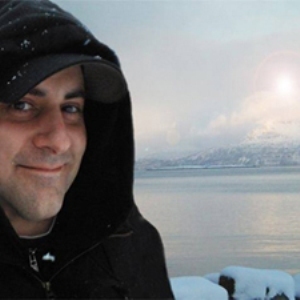 JimDe experienced Alaska to be a magical place and has traveled around the great land far and wide. On “Arctic Remixes 1”, the seventh track “Diomede Islands” (islands found in Alaska), is based on the composers study of that partic ular area which is the closest place in the USA to the Russian/Siberian borders. These influences can be heard on these tracks. The third track “Northwest Fields” is definitely an influence from where JimDe resided in the Pacific Northwest, USA, before moving to Norway. The rain forests and the nearby SeaTac Airport in Seattle, Washington, contributed to one of his first binaural recordings near that airport. Two more cinematic tracks with a story come to mind on “Arctic Remixes 1”: the hypnotic, meditative “Tumran Meditation” and “Sailing The Beaufort Sea”. “Tumran Meditation”, the closing track on the album, is a heavily influenced, dubby ambient piece and tribute to the Khanty & Mansi people and lands in Siberia who use the “jaw harp” or “jew’s harp” which is in the Plucked idiophones category of instruments of which JimDe is very interested in. He also loved creating the opening piece “Sailing The Beaufort Sea”, which is actually a tribute to the northern Arctic areas/waters above Canada and the people/culture and sailors that work and live there. It is amazing area, vast, stark, cold and extreme weather and he wanted to create a piece that reflected all this.